One of the biggest mistakes I see business owners make when blogging for their business is confusing blogging with a content marketing strategy. It’s true that the two are inseparably related, but they’re also different, and it’s an important distinction that too many business owners don’t make. Knowing the difference means the difference between a business blog that gets nothing but “digital crickets” and one that reaches all the right readers at the right time, generates leads for your business, and ultimately makes you more money. What’s the difference between blogging and content marketing strategy? When Internet business owners first get started with blogging, they often think that’s enough. 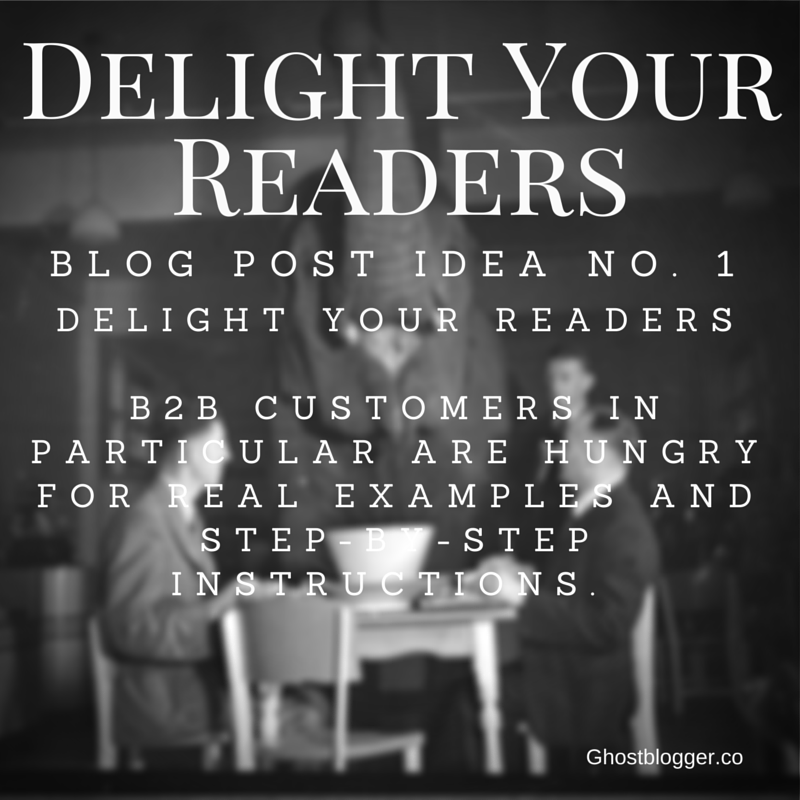 They write a blog post — filled with great information and inspiration! — post it to their website, share it to Facebook and Twitter and call it good. But blogging is just the beginning. All blogging is content marketing, but not all content marketing is blogging. Content marketing is creating and sharing valuable, relevant content with your followers for the purpose of generating leads and business. Blogging is only one way of creating content. For a lot of businesses, it is the main way, even the most important way, but it’s still not the only way. Sound a little overwhelming? It doesn’t have to be. “Content marketing is for the big guys,” and other lies. With all those possibilities, a lot of solopreneurs and micro-business owners might start to feel overwhelmed and discouraged. In fact, content marketing is probably more important for micro-businesses, because we don’t have the marketing dollars for mass marketing (which includes buying advertising in magazines or on TV). Content marketing is somewhat of a more equal playing field. Small, indy businesses can have a big impact without spending big bucks. I was chatting with a new client once, and she told me how she’d gotten upset and flustered when she realized that a much larger competitor was flooding the market with TOMA (top of mind advertising) — so much so that people thought her competitor was the only option. I pointed out that, in my opinion, this was actually great for her. Why? Because every time there seems to be only one option, you can bet money there are people Googling “alternative to X” and looking for her! 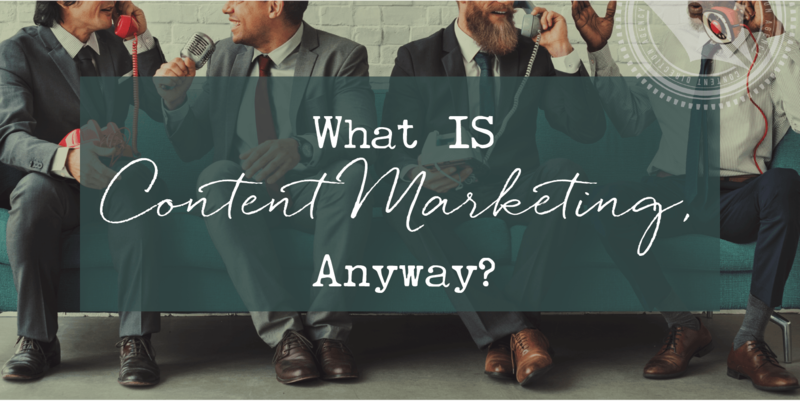 She can position herself as the less expensive, more effective alternative — and she can do it using content marketing. She’ll look like the grass roots, upstart David to the corporate Goliath, and there are plenty of people in her industry who would be excited about working with the indy gal. Here’s the key: When it comes right down to it, nobody is going to care if your videos are shot on a fancy-pants video camera or your trusty iPhone — if the information is valuable and useful to them. Action tip: Focus on creating valuable content in a variety of formats to create a content marketing plan that works for you. 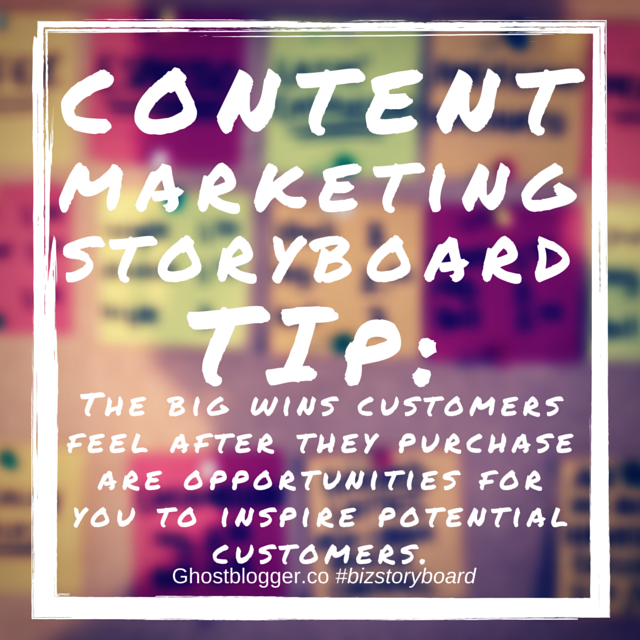 Valuable content in a variety of formats = content marketing. The next lie I often hear business owners tell themselves is that content marketing takes too much time. They hear about big businesses having full-time staffers answering tweets, creating pinable graphics, and shooting videos and they think that if they can’t do content marketing full time, they can’t do it at all. If you have a micro-business, it’s likely you don’t need full-time staffers to do these things! You just need to make doing a few of them part of your regular routine. For example, I recently decided to try a tip I saw that suggested making multiple pinable graphics for a single blog post, with different tips for each post. The traffic results, however, can be impressive. Another example might be creating a downloadable transcript when post audio or video. You can pay a freelancer or a VA a small hourly fee to create a transcript of your video or podcast and offer it as a download. Require a quick opt-in to download the transcript, and suddenly you’ve got a lead generation tool that took very little additional time or money to create. Making content marketing a part of your plan. Hey, I run a micro-business myself. I have a VA and a couple of subcontractors, but for the most part, I’m the one wearing multiple hats where my business is concerned, including: CEO, CMO, CIO, CFO, and probably a lot of other acronyms. The point is, I don’t have access to a huge team to help me do my content marketing — but that doesn’t let me off the hook for doing it. Yet, I’ve got a zillion other things to be doing, just like you do. So what’s a small (really small) business owner to do? Sometimes I feel like a broken record, but the only way to make this stuff work for you is with a plan. You have to have a strategy for how you’re going to make it all happen, and it doesn’t have to involve hours and hours of work! Make a list of content marketing actions you want to take. Don’t go hog wild with this right away; instead pick a couple of easy things you could add to your existing content to promote on multiple channels and in multiple formats. Assign them time in your schedule — 30 minutes or less! We’re looking for easy wins here, so pick things that will be doable in a short time frame. I suggest 30 minutes or less. Make content marketing a priority. That means, you’ve got to actually do it. Take whatever steps are necessary to make it happen, like putting appointments in your calendar, adding it to your to-do list, or even hiring a VA to help you out. Content marketing means consistently creating and distributing information that is valuable and relevant to those people within a small business’s target audience. Ultimately, the goal is for our content to entice a consumer to do business with our company. Consistency is a key ingredient to a successful content marketing strategy. Publishing fresh content at a regular frequency, creating many opportunities for a target market to see the company’s name. Eventually, thanks for sharing your best experience regarding this subject. … and having that fantastic tool “an editorial calendar”! I would not know how to do that without you Lacy. I have plenty of ideas but no strategy. Best $ I have spent on blogging!